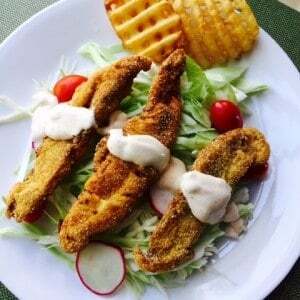 Low Carb Catfish Fry- A fish fry with all the high carb “trimmings” is a popular menu item and family meal in many areas including the Southern U.S. A typical fish fry can sometimes exceed over 90gm carbohydrate! 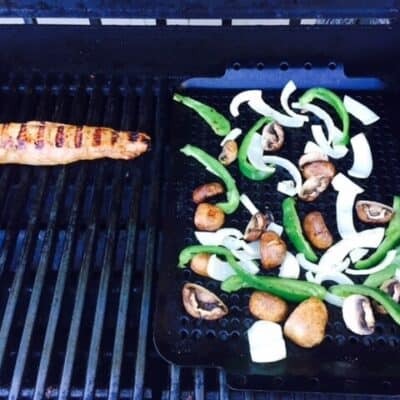 I decided to tweak this meal to make it less of a carb-tastrophe and a little more diabetes-friendly. Fried catfish is included in my version so you would want to continue to let this be a “special occasion” meal. 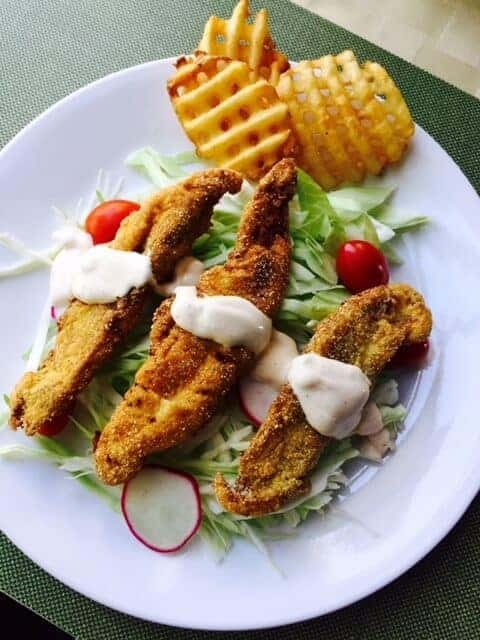 The catfish is fried in a light cornmeal batter then placed atop a bed of shredded cabbage and drizzled with a no sugar added slaw-type dressing. The cornmeal batter replaces hushpuppies made of cornmeal. No fish fry is complete without potatoes, so I included a few waffle fries as a garnish. I want to call this a fish fry salad! Hope this lets you enjoy a favorite meal without worrying about a spike in your glucose levels. Leave me a comment and let me know what you think! Turn this traditionally high carb meal into a diabetes-friendly salad featuring fried catfish and slaw. Slice the fish fillets into strips and place in a small bowl. Pour milk over fish and set aside. Combine the cornmeal and flour in a small bowl. Salt and pepper the filets and coat lightly in cornmeal mixture. Fry the fish in hot oil until golden brown, allow fish to drain on a paper towel lined plate or on a rack. Prepare the dressing by combining all the dressing ingredients in a small bowl. To assemble: Place about 1 cup sliced cabbage on plate with radish slices and a few cherry tomatoes. Arrange 2 -3 slices of fish over cabbage then drizzle with dressing. Garnish with 3 waffle fries. Repeat process to make a total of 4 salads.